Everybody can be great, because everybody can serve. You don’t have to have a college degree to serve. You don’t have to make your subject and your verb agree to serve. You don’t have to know about Plato and Aristotle to serve. You don’t have to know Einstein’s theory of relativity to serve. You don’t have to know the second theory of thermodynamics in physics to serve. You only need a heart full of grace, a soul generated by love. And you can be that servant. I know a man—and I just want to talk about him a minute, and maybe you will discover who I’m talking about as I go down the way because he was a great one. And he just went about serving. He was born in an obscure village, the child of a poor peasant woman. And then he grew up in still another obscure village, where he worked as a carpenter until he was thirty years old. Then for three years, he just got on his feet, and he was an itinerant preacher. And he went about doing some things. He didn’t have much. He never wrote a book. He never held an office. He never had a family. He never owned a house. He never went to college. He never visited a big city. He never went two hundred miles from where he was born. He did none of the usual things that the world would associate with greatness. He had no credentials but himself. He was only thirty-three when the tide of public opinion turned against him. They called him a rabble-rouser. They called him a troublemaker. They said he was an agitator. 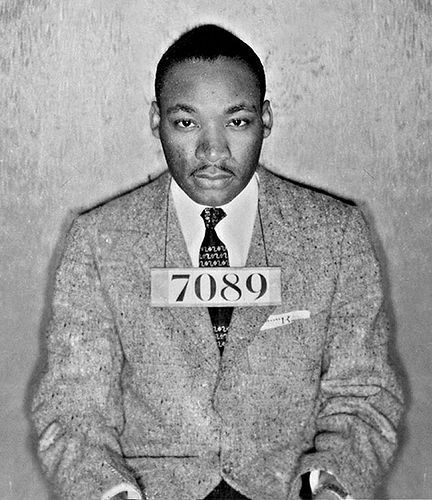 He practiced civil disobedience; he broke injunctions. And so he was turned over to his enemies and went through the mockery of a trial. And the irony of it all is that his friends turned him over to them. One of his closest friends denied him. Another of his friends turned him over to his enemies. And while he was dying, the people who killed him gambled for his clothing, the only possession that he had in the world. When he was dead he was buried in a borrowed tomb, through the pity of a friend. Nineteen centuries have come and gone and today he stands as the most influential figure that ever entered human history. All of the armies that ever marched, all the navies that ever sailed, all the parliaments that ever sat, and all the kings that ever reigned put together have not affected the life of man on this earth as much as that one solitary life.